I saw a good price on a flash sale on the web site. I chose the wire transfer option as it was less expensive. I did not realize this would require me to go to my bank and sign paperwork as well as pay a fee for the wire transfer. I though it was a pay by check kind of thing. I called about 10 minutes after making my order to cancel. I was told by a very threatening representative named Tiffany that my options were to change my payment method and pay more or pay a $35 cancellation fee (that they will send to collections). This is a textbook bait and switch tactic, and I will be filing formal complaints with my attorney generals office and the FTC respectively. It's not about the money, because it really is not much. It is about being deceitful and threatening to your clientele. 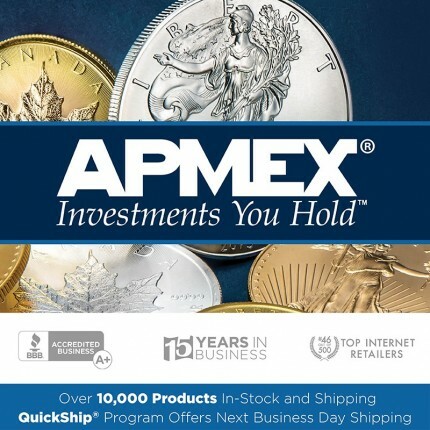 No matter what APMEX does at this point they have lost a customer for life.